Yahoo! has recently laid off about 600 employees based on a ranking system introduced last year, while Microsoft is ditching their system to relieve some of the pressure from their staff. The Verge: Vanity Fair contributing editor Kurt Eichenwald blamed a combination of Microsoft’s obsessive focus on Windows and Office and the company’s internal stack ranking-system for a "lost decade" and cannibalistic culture. Eichenwald interviewed a number of current and former Microsoft employees who all cited stack ranking as the most destructive process inside the software giant. Forbes: Stack Ranking – forcing managers to rank their employees and get rid of the bottom ones — is a horrible idea that Microsoft’s Steve Ballmer imported from GE. As I wrote in July 2012, stack ranking at Microsoft was a mess. The Wall Street Journal: The rankings were a key factor in promotions and in allocating bonuses and equity awards under Chief Executive Steve Ballmer, who in August said he plans to retire within a year. But many current and former Microsoft employees complained the system resulted in capricious rankings, power struggles among managers, and unhealthy competition among colleagues. More emphasis on teamwork and collaboration. We’re getting more specific about how we think about successful performance and are focusing on three elements – not just the work you do on your own, but also how you leverage input and ideas from others, and what you contribute to others’ success – and how they add up to greater business impact. More emphasis on employee growth and development. Through a process called “Connects” we are optimizing for more timely feedback and meaningful discussions to help employees learn in the moment, grow and drive great results. These will be timed based on the rhythm of each part of our business, introducing more flexibility in how and when we discuss performance and development rather than following one timeline for the whole company. Our business cycles have accelerated and our teams operate on different schedules, and the new approach will accommodate that. We observe that pressure, if maintained below a certain level, can lead to higher performance. However, as the lay-offs take place, constant pressure demoralizes employees, leading to drop in performance. 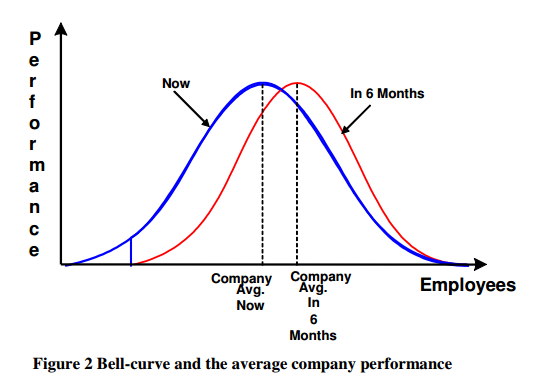 As the bottom performers depart, the rigid distribution of the bell-curve forces managers to categorize a high performer (when compared to the rest of the labor market) as a mediocre. A high performer, unmotivated by such artificial demotion, behaves like a mediocre. Further, in a shrinking company, managers find it difficult to differentiate employees. 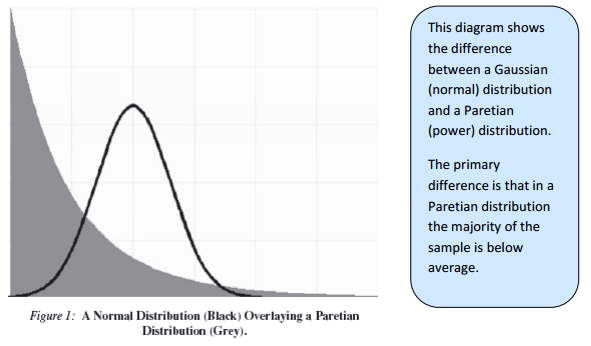 As a result, they begin to reward visible performance over the actual. Beyond a certain point, the erosion of social capital has the potential to cripple the company. is to decouple to some extent the performance evaluation process from the issue of lay-offs. attracting new talent to ms? This would help, I also think they should make Shuttleworth the next CEO lol, why waste energy on horrific windows and not just acquire both a mobile and desktop OS that with wine can run all the windows legacy software even on arm? You should keep the people whom you would still choose to hire. You should fire the people you wouldn't. Anything else is a disservice to both those who would stay and those who would go.